Pop singer/songwriter Kat Kennedy has toured extensively from Alaska to Brazil, sharing her compelling blend of acoustic and electronic sounds. After graduating Berklee College of Music her collaborations with other artists and producers piqued the interest of fans and labels alike. Her 2016 TrapNation release with producer Channels titled "Flare" amassed over 6,000,000 plays across streaming platforms. Kat's latest release, "Notice Me", was the first among a series of singles leading up to her entirely crowd-funded album. This CD Release event is one not to miss! Kat Kennedy and her band (Luis Contreras, Eli, and James Knoerl) perform her original song "Space" live! Kat will be joined by Jason Sibi-Okumo. Please join us for Kat Kennedy’s new CD Project! This program is hosted by the "Eastern Connecticut Center for History, Art, and Performance" (EC-CHAP). Doors 7:00pm / Show 7:30pm. Tickets $15.00 in advance online / $20.00 at the door. Senior and Student pricing available. 20% Discount at Door for EC-CHAP Members. Hey! SOOP is Back at The Packing House! Prepare yourself for a very special evening, as Seat Of Our Pants presents music from their new album, due to arrive on their doorstep JUST in time for this show. Recorded at Riverway Studios with producer and Grammy-nominated composer Ira Sakolsky, “Songs of Rabble and Roots” is their 3rd CD and first of all original songs. 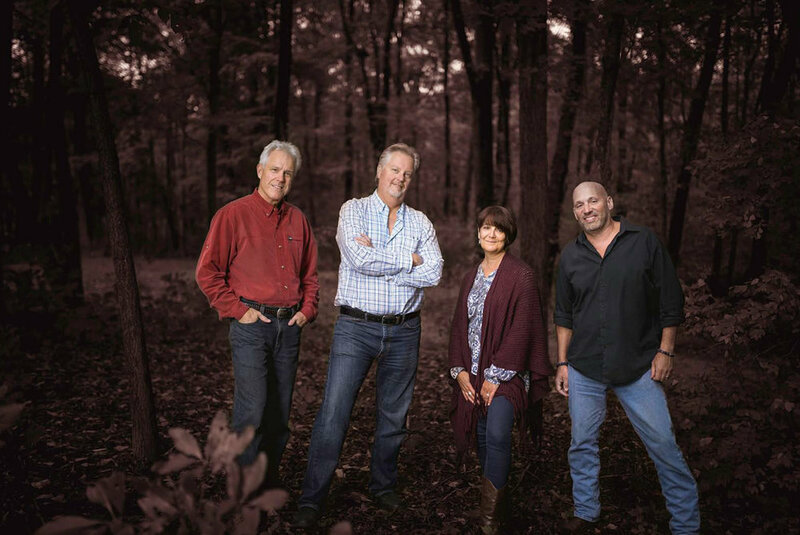 As the title suggests, the tracks are a combination of their rowdy, irreverent side that will leave you laughing, and heartfelt songs about family, healing, and home sure to make you reflect, and may even bring a tear to your eye. Since the show is scheduled smack in the middle of the holiday season, Carolyn, Jeff, Mark and Mike have a great selection of holiday songs planned for the evening as well. “There is something about the band members that make their performance magical” - Pamm Summers, EC-CHAP Senior Member. Start your holiday season off with the magic of Seat Of Our Pants. Please join us for an evening of original works and Holiday Cheer by these talented artists!! This program is hosted by the "Eastern Connecticut Center for History, Art, and Performance" (EC-CHAP). Doors 7:00pm / Show 7:30pm. Tickets $15.00 in advance online / $20.00 at the door. Senior and Student pricing available. 20% Discount at Door for EC-CHAP Members. Join us for an evening of original music by these talented artists! This program is hosted by the "Eastern Connecticut Center for History, Art, and Performance" (EC-CHAP). Doors 7:00pm / Show 7:30pm. Soft drinks and snacks available. "BYOB&F" - Bring Your Own Beverage & Food (Wine & Beer Only - I.D. Required). You can also bring your paid ticket to Willington Pizza House (or WP Too) for eat-in or take-out the night of the show and receive 15% off your meal purchase. Ask for "The Packing House" pizza! Click here for secret recipe. The Gather Rounders features both talented bluegrass and folk music veterans and exciting fresh faces. Caroline Cotter (lead vocals) (www.carolinecotter.com) is a singer-songwriter based in Portland, ME. Her debut album, ‘Dreaming as I Do’, released in February 2015, reached #5 on the national Folk DJ charts with a #2 song, Bella Blue. Whether performing solo or with The Gather Rounders, Caroline’s captivating soprano voice lends itself to an eclectic repertoire of folk, bluegrass, swing, and world music. Lincoln Meyers (guitar, vocals) an award-winning guitarist who has been playing professionally for 30 years, 18 of them in New England, has toured for years with national bands Frank Solivan & Dirty Kitchen and The April Verch Band. Lincoln has been featured on the cover of Flatpicking Guitar Magazine and currently teaches guitar at 317 Main Street Community Music Center in Yarmouth, ME. Ron Cody (banjo)(www.roncody.com) is a genre-defying banjoist with recordings that have been featured on All Things Considered, The Thistle and the Shamrock and Sirius Radio Bluegrass. Renowned banjoist Tony Trischka adds about his playing- "Ron can hit from all sides." Ron writes a bi-monthly column, "The Melodic Side of Things" for Banjo Newsletter. Wendy Cody (upright bass) has performed throughout the northeast as part of the venerable New England Bluegrass Band and has recorded with musical luminaries such as Darol Anger, Heather Masse, Rushad Eggleston, Roland White, Jesse Brock, Mike Block, Grant Gordy and Alex Hargreaves. This concert is a part of The Packing House Acoustic Artist Series hosted by the Friends of The Mill Works. Join us for an evening of the unique sound of The Gather Rounders! Snacks and soft drinks available. "BYOB" (Beer and Wine ONLY).